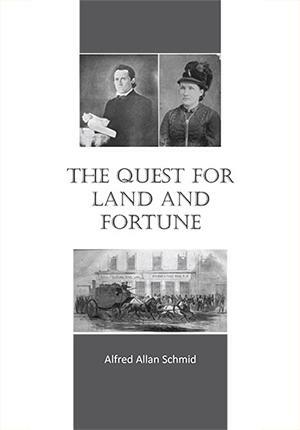 The Quest for Land and Fortune, is a work of narrative nonfiction--the people are real while what they thought and said is fiction. The background traces the great themes of the American experience through five generations of actual interconnected families whose patriarchs and their intrepid wives could never be satisfied with the status quo. Whether led by their ideals or propelled by the yearning for more land or greater fortunes, these immigrants and plantation owners, unionists and rebels, agrarians and industrialists shaped their emerging nation even as they were shaped by seemingly greater forces. The book reflects the sweep of 150 years of American history as these real people lived it, from the Revolutionary War through the expansion, upheaval and invention of the 19th Century and on into the first stirrings of the country's global ambitions. The cast of characters--the self-sacrificing Indian missionaries, the hardworking frontier farmers, the inventive and ruthless industrialists, the self-made Gilded Age bankers--follow varied paths that eventually converge in the nation's heartland where opportunity seems as boundless as the Kansas prairie.